the quality of our product, no statement or information contained on this page is to be construed as a claim that this product is a cure, mitigation, treatment or prevention of disease or any other medical condition. This information is to be regarded as a product guide only. Hira Laboratories will not be held responsible for the use or misuse of any products listed. We recommend that either a qualified herbalist or your medical professional carry out diagnosis and subsequent treatment. Withania somnifera. True rejuvenating herb. Particularly suitable for older pets with age related degenerative conditions and during times of physiological stress. An adaptogenic herb which can regulate important physiological processes ie damp down an over-active immune response and stimulate an under-active immune system. Sitoindosides found in the plant enhance pathogenic-destroying phagocytes. Ashwagandaholine has calming and anti-spasmodic properties. Serenoa repens (Saw Palmetto) is nature’s kidney herb and suitable for maintaining kidney health in older dogs and cats. May help with incontinence and light bladder leakage. From organically grown Matricaria recutita flowers Mildly calming particularly suitable for pets that don’t travel well. Mildly soothing and maybe given daily for minor skin conditions. Question: I have a 16yr old Shih Tzu who is a little stiff these days. She broke a smal bone in a back leg several years ago while trying to jump onto sofa, then two years ago a family member tripped over her which wrenched her shoulder and surrounding tissue. She is limpy in that shoulder and stiff in her hindquarters. I have your devils claw for horses and was wondering if I could give her that for some relief and how much. I gave her a drop one day for a try and did see an improvement for a day or two. I would like to continue with that but dont know how much for a 6kg dog? Answer: I would give her 12dropsfor a week then 6 drops there after. I would also give her some omega oils which has vitamin C in it. Vitamin C will help restore the surrounding cartilage and will act as a mild anti-inflammatory. I am thrilled with what I bought and am also giving it to our older dog and she is much freeer in the shoulders. I also gave it to my mum’s dog when she stayed recently. I take the dogs for a 3km walk every morning and thought mum’s dog would only manage a couple of walks before her chronic limp set in but she was fine all week and galloped around like a puppy with our young dog!have a good week. Herbal blood conditioner. Suitable for pets with bronchial and minor skin conditions. Ideal vitality herb for the older pet needing a boost and those with balance issues due to inner ear problems. Just wanted to record a huge thank you and endorsement for Everdien’s natural remedys! Our oldest puggy (14) is on two of Hira Labs products and she is bright eyed and bouncing around after just 10 days or so on the products. She has a stiff back end and is very prone to bronchitis. Now, she has much easier movement, even climbing stairs again, and her lungs are so much better she can even yodel 🙂 Thanks Everdien! Highly recommend these products. Stimulates the immune system. Increases the body’s ability to fight infection. Increases white and red cell production. Ideal for times when your pet is going to kennels. Add drops to your pet’s drinking water. Hypericum perforatum. Natures comfort herb. St John’s Wort increases levels of seratonin which is responsible for feelings of contentment. Suitable for treating compulsive repetitive disorders ie cats that urinate indoors. May help with behaviour modification and during times of stress. The Happy pet stuff is working too, only 2 wees inside since they’ve been taking it, one when they were accidentally locked inside and one on the new catnip mouse I bought them, it has that affect on one of them. Overall a great improvement. My 5year old 7kg tabby cat Ghen has been on your St Johns wort for the last two years to help with territory aggression and it has worked wonders.Ghen’s brother Spartacus and all other cats and a few dogs in the street thanks you for your product. Snoopy’s (dog) loaded up on her Hiralabs Valerian calmer as our neighbours pop Diwali fireworks off all over the show. So far, no trembling or cowering, she is lying in her bed looking only slightly worried 🙂 huge progress – thanks Everdien for your help!! I have been using Joint Blend Plus for approximately 6 months now and I’m astounded at how it has totally changed the life of my elderly 12 yr old Cairns Terrier. I was sadly thinking I would have to get her put down as she was unable to get up and down 2 steps and pretty much didn’t want to leave her bed, she started wetting inside and was very depressed. After using your product it was a miracle she has brightened up into a different dog, bright happy and interested in the world around her again happily popping up and down the steps, even venturing out into the paddocks again for a little stroll around! Thanks so much for making Lilly’s life comfortable in her twilight years. Thought it would be best to get an order in for more of those wonderful potions.The old arthritic dog that I originally ordered for has gone to doggy heaven, but Matthew’s ancient heading dog has really benefitted. So much so, that though retired and not expected to even live this long, she is now frequently out on the hills giving a helping hand. She just loves her job, but had slowed down so much that it was dangerous to have her out among the stock. Now there is no stopping her. This concentrated blend of plant substances act as nerve tonics for the brain, muscular, digestive and skin systems. A concentrated calming blend containing some of the following: chamomile, vervain, hops, scullcap. Ideal for occasions when your pet may be stressed like a vet visit, a change of routine, travelling etc. we find the Seda pet brilliant for when we send our dogs by air freight. It keeps them calm throughout the flight. Wwe are so glad to have discovered this. Thank you for all your help. Acts on luteinising hormone. Suitable for hormonal difficulties in cats and dogs. May help with pets that are hyper alert. Suitable to maximise adrenal health and function. Slightly sedating and calming. 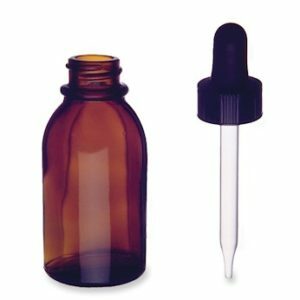 Please note: The 100ml and 50ml bottles are now sent with a tampertel lid as droppers leak in transit . Droppers are an extra 80c. Hira Yarrow Has anti-angiogenesis properties. Flavonoids in yarrow flowers encourage circulation, lowers blood pressure and strengthens vascular walls. It’s main active ingredient being thujone make it suitable for the treatment of some minor skin conditions. Hira Hyperdula Spray Consists of a completely natural herbal spray consisting of herbal extracts, to include calendula and Hypericum perforatum.This spray may be used for mild skin irritations and injury. The active ingredient in St John’s Wort is Hypericinmay help restore nerve damage and calendula increases oxygen levels to the site helping with skin regeneration. Skin conditions also may be helped by administering Omega oils and an extract of Chamomile. Dose spray onto affected parts twice daily. Consists of a 100% natural herbal spray consisting of herbal extracts, essential oils and 100% pyrethrum grown and harvested off our property. Spray fur and bedding when fleas are active particularly during summer and autumn. Dose Spray along the spine and stomach area twice daily. Hi there Everdien, thank you so much for this magic spray. The red itchy patches on Ollie’s tummy have gone completely and he is no longer chewing his paws. The All-In One Pet Rejuvenator. This concentrated blend of adptogenic and tonic herbs encourages blood circulation, addresses blood pressure and excessive adrenaline and cortisol production. A concentrated rejuvenating blend containing some of the following: withania, serenoa, gingko and harpogophytum etc. Hira Omega Oil Complex Consists of a balanced blend of Omega 3, 9 and 6 oils, plant based anti oxidants, tocopherol oil and oil-soluble vitamin C. Fats (Lipids ) are vital for all growth processes, renewal of cells, brain and nerve function, sensory organs and metabolism of food. Energy sources are based on lipid metabolism. Formulated to balance the lipid levels in the body to help with the exchange of nutrients and wastes through the cell wall. May be used to improve coat condition. Ideal when getting pets ready for sales or showing.Use in conjunction with Devil’s Claw and/or Hira Joint Blend Plus may help improve mobility for older dogs. Used in conjunction with Hira Saw palmetto and/or Pet vitality may help protect from kidney diseases. Hi there I phoned a few weeks back about my 11 year old cat who has Diabetes. You suggested to put omega oil and cinnamon on her food which I do daily and I believe she has picked up, also her insulin has dropped twicebecause of it. She is only on 2.5ud twice a day instead of 3ud twice a day. Hi ya Everdien. Could we get what ever for the cat to help with her Hyperthyroidism. I felt her wee heart thumping away the other night. I am giving her 2 to 3 drops once a day…. She is much calmer now even tho eating lots. Her heart rate has gone down a bit too.